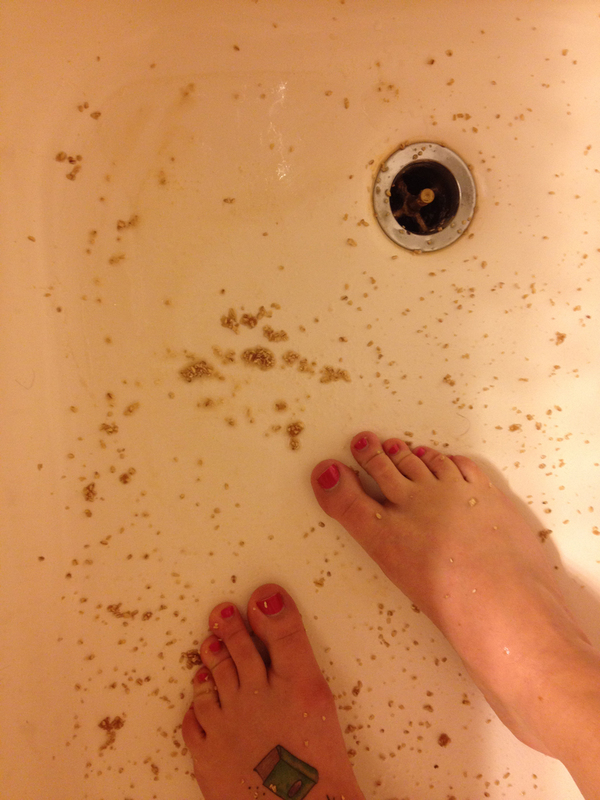 mix equal parts olive oil, brown sugar and raw oatmeal, then scrub your skin in circular motions. rinse off and your skin will feel like butter! 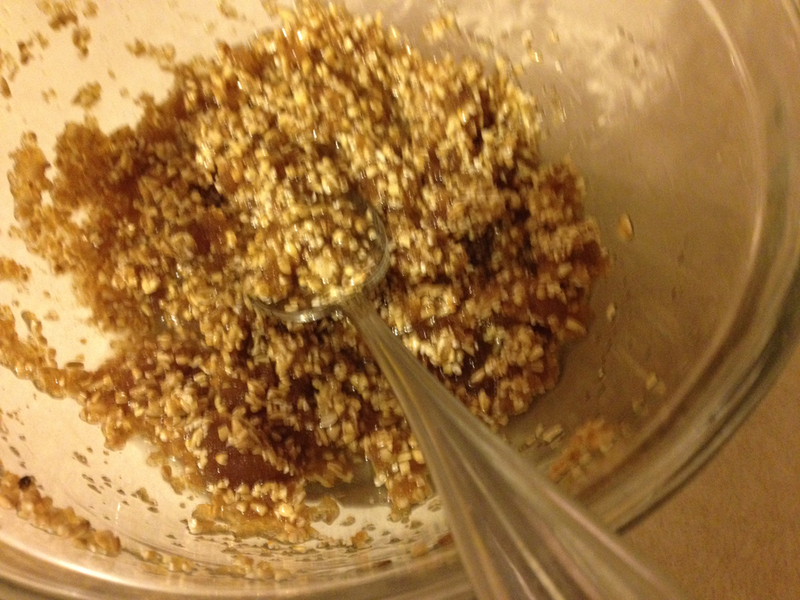 ok. i used some scottish oatmeal i had – i figured they didn’t mean quaker quickoats. the site says to mix a cup of each, but that’s a lot! so i did half a cup each, and it was pretty good. bad picture. ugh. so. off the tub i go. scrub scrub scrub. make a mess. and time to wash off! now, the promise is BUTTERY SKIN. 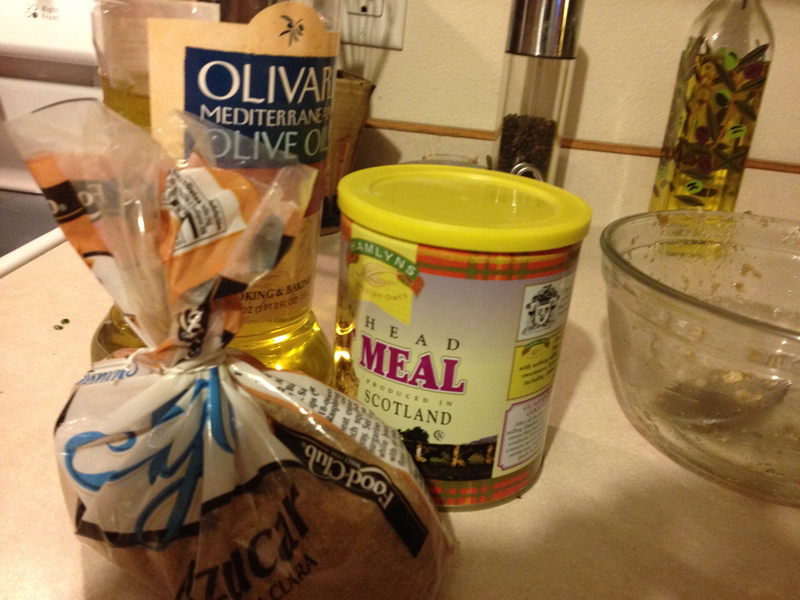 to which i say, of COURSE it’s going to be buttery; you just swabbed yourself down with a half cup of olive oil! the directions say nothing about washing off with soap, but since i have a predilection toward oily skin to begin with, i scrubbed down with soap, and i’m still feeling the oil. if a person had really dry skin, this would be an awesome once-a-week regime, although a spendy one. but, once you think about it, scrubs in the store aren’t cheap either. 4 out of 5 stars. does what it says. it could get spendy.